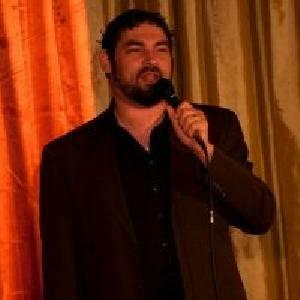 Markus began his stand-up career in Boston, then moved to Las Vegas to perform stand-up, sketch, and improv comedy. Over his years in Vegas, he played a wizard in Caesar's Magical Empire, a Klingon in Star Trek: The Experience, and King Arthur in Excalibur's Royal Court. Between robes, leggings and tights, he spent years being paid not to wear pants. Markus has written TV material for Kumail Nanjiani, The Tonight Show with Jay Leno, ESPN's Colin Cowherd, The Game Show Network, and the notorious Chabad Telethon, as well as other top comedians. His singular comedy style blends surprising observations with a sharp wit and a unique outlook on our strange world.